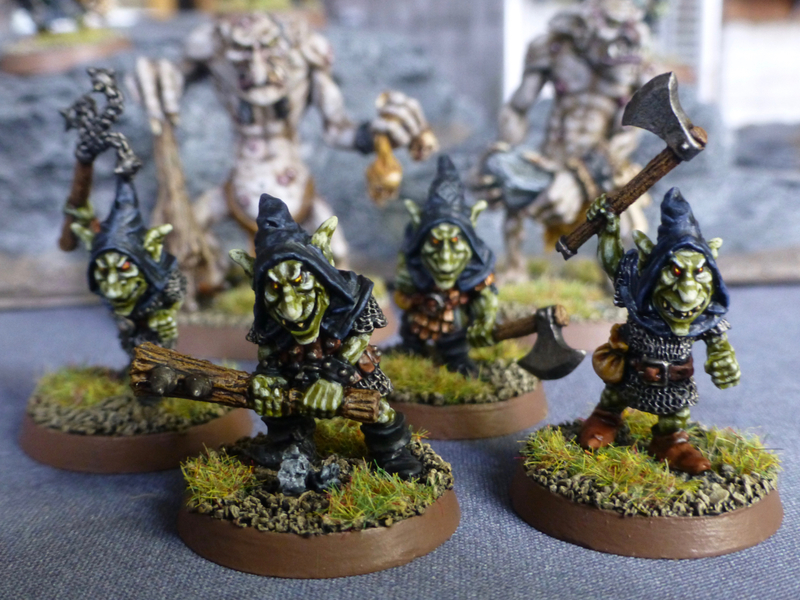 I like these little guys and the work you’ve done on them , the facial highlights are great. Thank you! Kev’s facial sculpting is very expressive so it is easy to pick out those highlight points. I’m going for pretty sharp highlights on my green skins to make them look suitably gnarly. Well it certainly works a treat! Wow you made fast work of them! Haven’t touched mine yet. Great stuff. Very nice…those are highlighted perfectly! Thanks, glad you like the style I’m going with. Lovely job on some lovely mini mate – great skin tone! Thank you, I had a good time painting these guys. 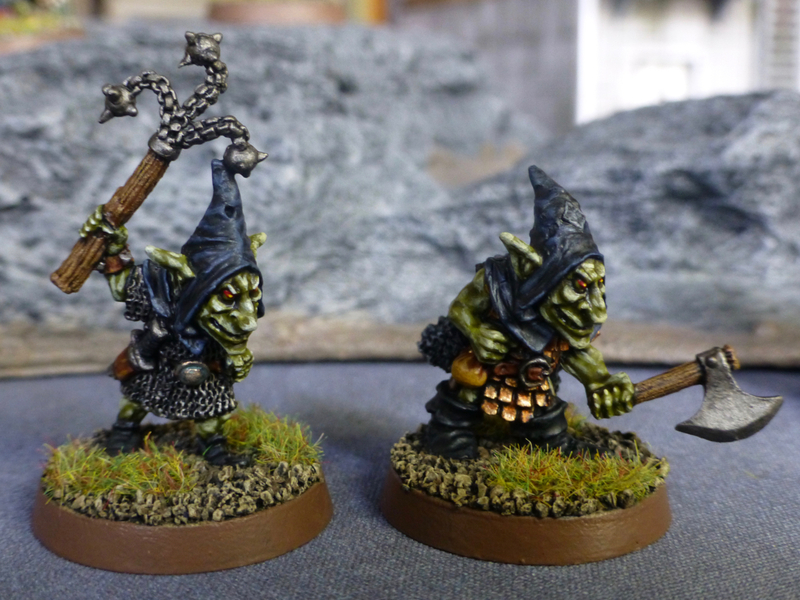 Love your work here, and these goblins look distinct enough from his GW ones while still being very much in the same mold – and clearly Kev’s work – a perfect canvas for the great work you’re doing with them! Glad you are enjoying them. 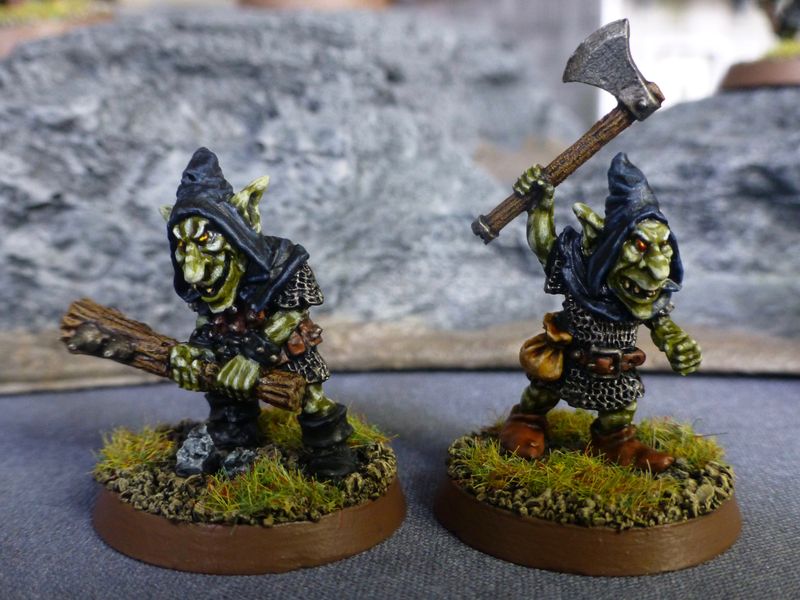 They lend themselves well to a different take on Warhammer (they are too big to match any existing Warhammer goblin range I have) while clearly feeling of that world. Top painting here. The characterful sculpts must really help with the enthusiasm to paint. Keep up the good work! Thank you! Yes, the sculpts really motivated me to keep at it and paint the reinforcements up quickly (at least for this one clan, still got the others to tackle). Nice work my friend, I wouldn’t have the patience or steady hand to work in such fine detail. Thanks! Most of the techniques don’t require too much precision, a wash of thin paint does wonders and accentuates highlights without having to pick them out individually.